Hi Slider is a wonderful jQuery slideshow maker which is also a free Html5 Image Slider Maker. 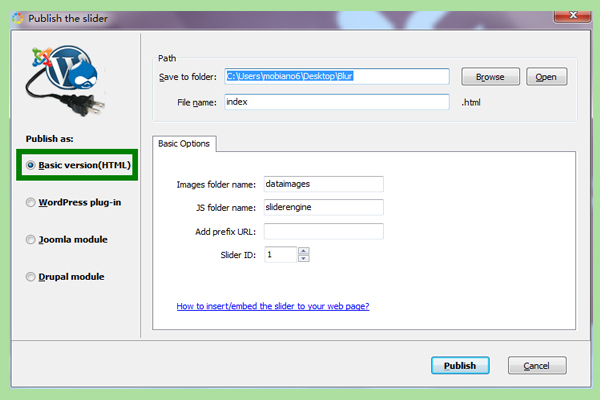 Images, YouTube or Vimeo videos can be imported as the original files for jQuery slideshow producing. Various templates and skins and separetely set transitions for each file in Hi Slider, offers users a totally fresh experience of making slideshows. Surprisingly, the four main output formats (Basic version of Html, Wordpress Plug-in, Joomla Module and Drupal Module) will no doubt provide users more conveniences. Enable you to embed the jQuery Image slider into web pages for website design. Step2. 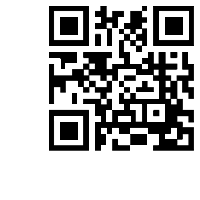 Double click the shortcut of the software and click demo to view the example. Put the mouse on "Create New" button to start your creation of a jQuery Image Slider. Simple options to define in the importation, and you can add no matter Image, YouTube or Vimeo files as the items of the Image Slider. Step4. 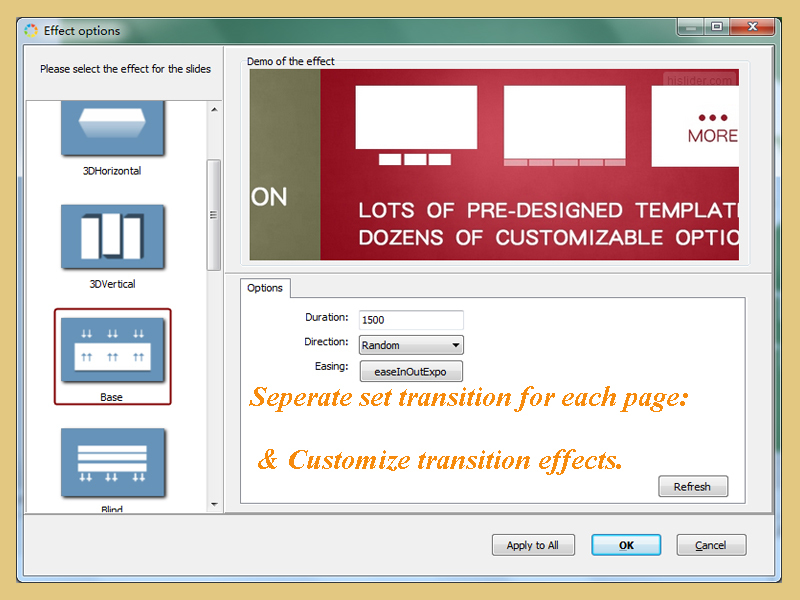 Individual set title and description, transition and action info for each item of the Image Slider, certainly after all operations, users should press "Refresh" to view the effect. Step5. Edit transitiond by clicking the "Random" buttom. Step6. 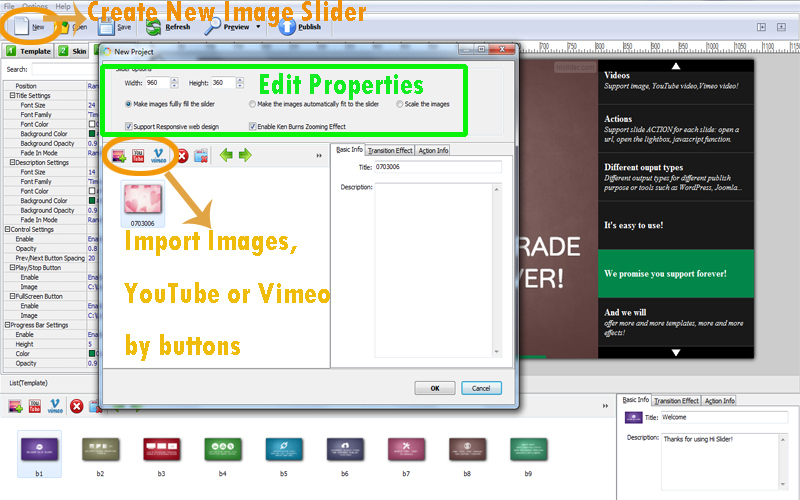 After previewing, users can output the jQuery slideshow as the Html5 format Image slider and define properties. With the output HTML format jQuery Image slider, users can upload the output files to website, and show the image slider on web pages.